I opted for the easy route and made Bollas instead. The recipe makes 40 bollas. I made half and covered and refrigerated the rest of the batter for the next day. 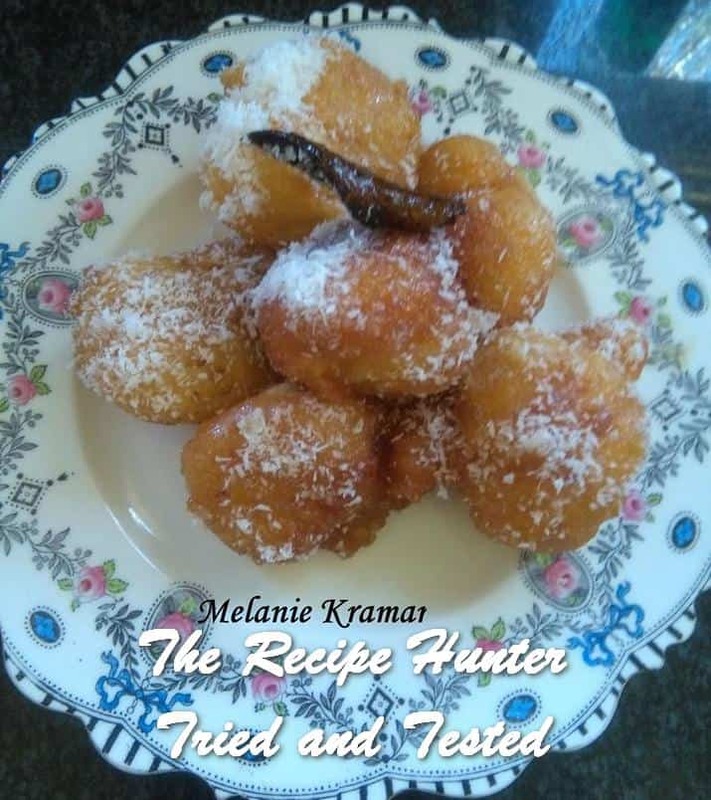 I kind of missed the spice found in koeksisters, so in my second batch of batter I just sprinkled in some cinnamon, ginger powder and cardamom powder and gave it a quick mix. Tasted better than the first batch. I’m going to make them that way in future, and refrigerate longer too. Whisk melted butter, eggs and sugar in a bowl until light and fluffy. Add vanilla essence. In a separate bowl sift flour and baking powder twice. Add flour mixture to egg mixture. Add milk/water and mix into a soft, sticky dough. Allow to rest for at least 30 minutes. Place a spoon full of mixture in hot oil and fry until golden brown. Hint: Dip spoon in cold water to ensure that dough separates from spoon to form neatly rounded balls when dropped in oil. Boil together until sticky, you may add more water (little by little if the sugar syrup becomes too sticky). Heat through and add bollas for one to two minutes, until glossy remove to dish and sprinkle with coconut.